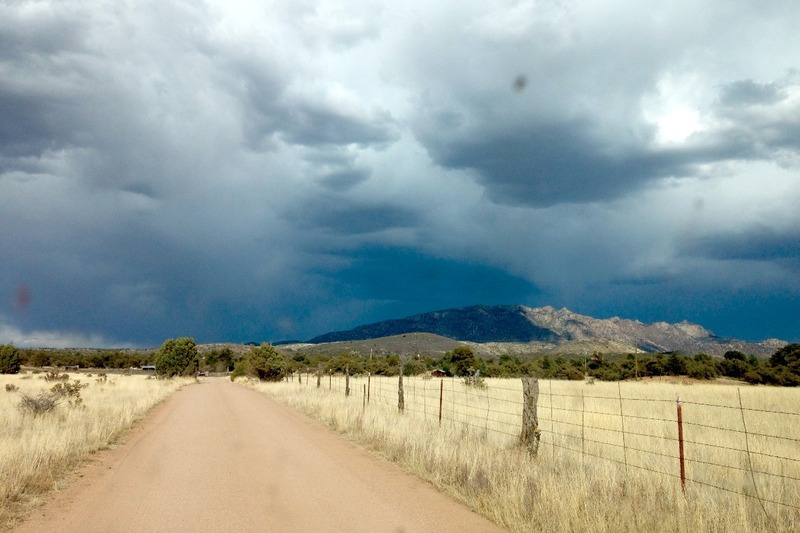 Welcome to Prescott Insight Meditation's Giving Campaign to fund our annual week-long silent retreat! 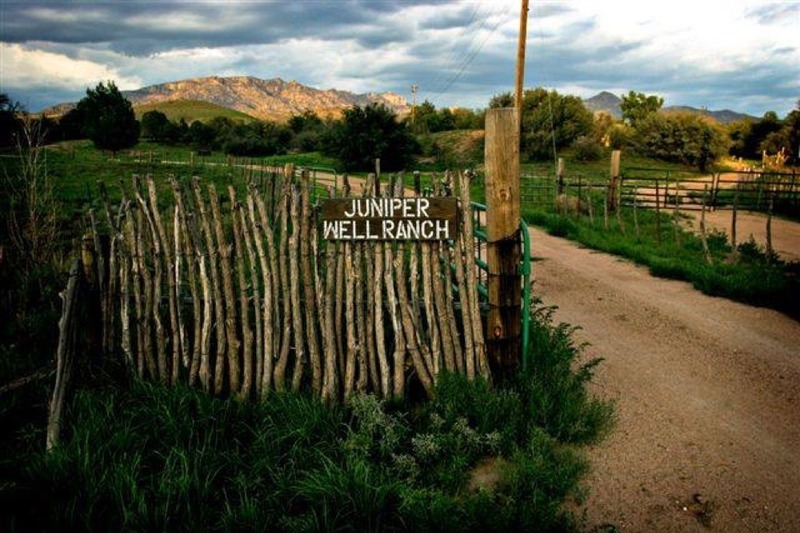 This is a true pay-it-forward retreat, which happens only with your contributions. This unique annual retreat is fully supported by generosity, heart-based giving; giving without expecting anything in return. All contributors, from each registrant to the organizers; from the site owners to the teacher, freely give of their time, effort and means to make this retreat happen. All donations to this event are authentic acts of generosity to promote generosity in all beings, everywhere. This year's retreat is scheduled for May 5-11, 2019. There is no fee requested for this retreat. According to the oldest known Buddhist traditions, the teachings of the Buddha (Dharma) are to be freely given. This free giving is only sustained by the ancient tradition of dana, a Pali word, which literally means giving. We follow this 2,600 year old tradition of offering the Dharma freely so that the teachings are available to everyone interested regardless of socio-economic status or financial means. Donors like you, as well as retreatants themselves, are encouraged to offer financial contributions in an open-hearted act of giving. In so doing, we develop our ability to let go, practice careful lovingkindess, and honor our innate inter-connectedness. And what is the accomplishment of generosity? Here, a noble disciple dwells at home with a mind free from stinginess, freely generous, open-handed, delighting in relinquishment, one devoted to charity, delighting in giving and sharing. May all beings be happy. May all beings be free. May we all continue to be inspired by how practice of the Dharma unfolds! Prescott Insight Meditation has received an offer by a member of our Sangha to match all donations dollar-for-dollar between now and April 30, up to a total of $1000. This is a remarkable opportunity to support this unique, dana-based retreat, whether or not you plan to attend. Please join in the spirit of GENEROSITY and double your donation at the same time. Every amount is welcome and makes a difference as we build this annual community retreat! Prescott Insight Meditation is excited to announce a beautiful way for you to contribute to our retreat by participating in the ancient practice of dana, generosity, and receive a unique gift. 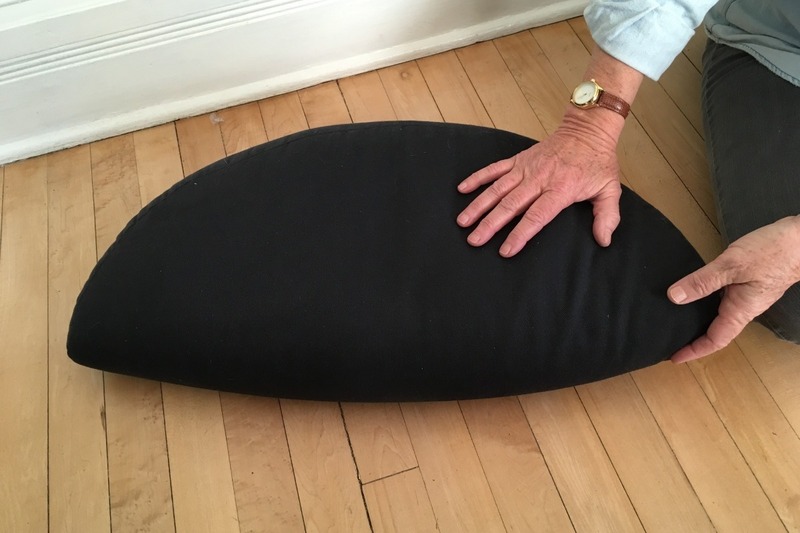 We are offering a handmade zafu, crafted by the sewing team of Prescott Insight Meditation. 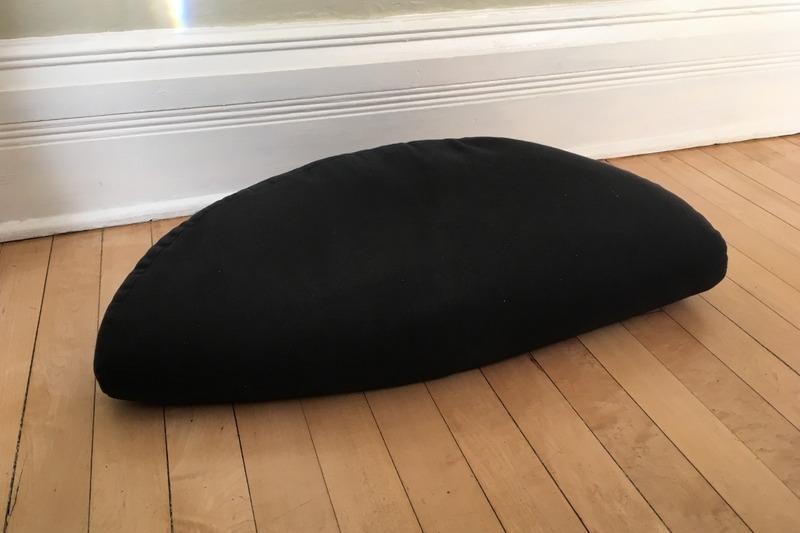 Crescent shaped and filled with organic buckwheat hulls, this unique zafu will support your meditation practice from the ground up! By giving an amount of $100 or more to the retreat fund, you may choose to receive one of these zafus while giving others the opportunity to deepen their practice in silent retreat. You are contributing to something relevant, humanizing, inclusive and rare in today’s world, so we thank you for your donation of any amount. Please accept our deep gratitude for supporting a fully dana-based retreat.